Symbolism has been with our culture since the dawn of time. It pre-dates the spoken word, before language came into being. 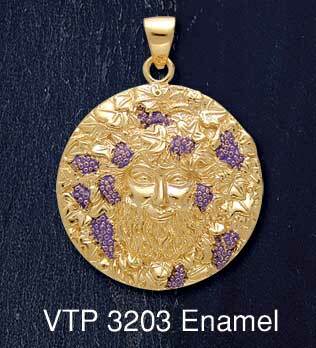 Historically, symbols have been used to illustrate the deeper mysteries of faith and belief. They help explain without barriers, a sense of awareness that language confuses. 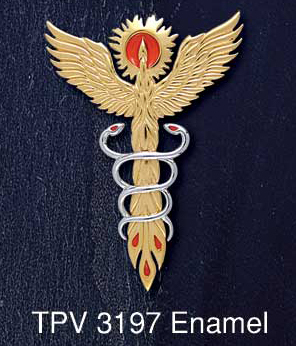 We proudly present to you, our fine Egyptian Jewellery, symbols of our great traditions. OF SOME OF THESE ITEMS, SIZES WILL VARY TO ILLUSTRATIONS. 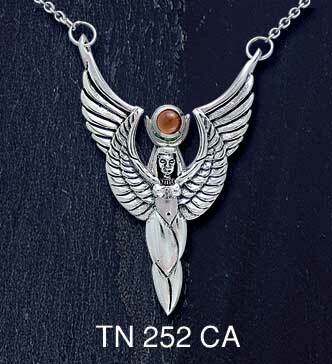 Symbol of the Winged Scarab set with a cabachon-cut stone in Sterling Silver. 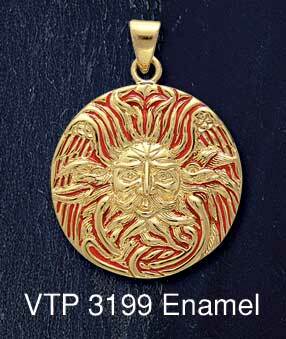 The chain is also Sterling Silver and is attached to loops behind the pendant. Can be made with your choice of stone - please enquire. 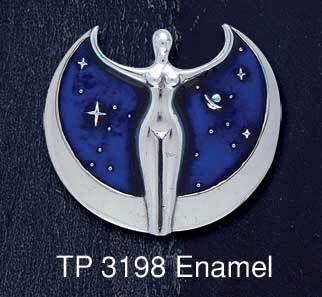 Currently available in Turquoise and Lapis Lazuli. 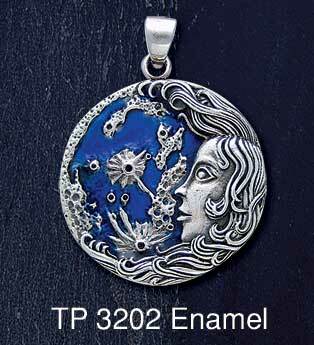 Unfortunately, photo does not show up the fine silver finish on pendants. 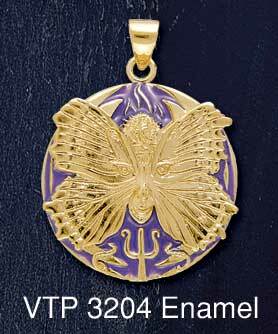 The Scarab represented - Self-Generation, Resurrection and Renewal and Good Luck. The scarab was based on the image of the dung beetle, or Scarabeus Sacer, and it was used by the ancient Egyptians for many purposes such as recording historical events or inscribing prayers to be placed on mummies for protection against evil. Scarabs were also used as seals by officials. The writing would be inscribed on the base (flat side) of the scarab, and sizes varied from several centimeters to several meters long. Scarabs were made from a wide variety of materials such as carnelian, lapis lazuli, basalt, limestone, schist, turquoise, ivory, resin, steatite, and bronze. As the scarab traveled throughout Europe and Asia by trade, war and politics, its purpose changed. 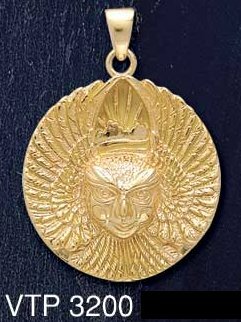 Originally used as a symbol for birth and rebirth, it quickly evolved to becoming an amulet for protective purposes (used in many completely different religions), a seal for officials and later only for decorative purposes. Currently available in Turquoise, Lapis Lazuli and Amethyst. set with Lapis Lazuli stone. 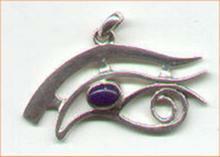 Small Sterling Silver Eye Of Horus set with Lapis Lazuli stone. 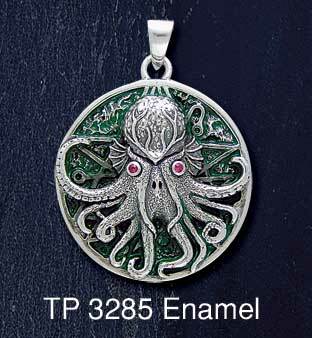 Suitable as a charm, earring or pendant. Eye of Horus pendant with Eye of Horus jewellery box. 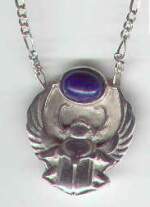 Sterling Silver Eye Of Horus set with Lapis Lazuli stone. Keep your pendant in this hand crafted Australian Black Bean wood, velvet lined jewellery box. 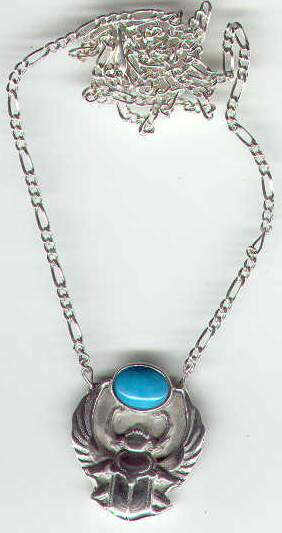 Features an Eye of Horus in copper and silver set with a Lapis Lazuli and silver knob on the lid. 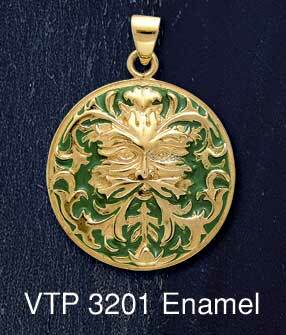 Featuring carved velvet lined chamber for pendant and chain inside New Zealand Rewa Rewa wood oval box. Custom Box - 75mm wide Oval shaped box, drop pin lid featuring large Tiger Eye cabochon surrounded by twisted Silver border, 27mm in height, velvet lined and shaped inside to keep pendant and chain. 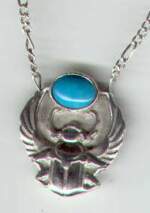 Unusual and very unique in design, this Sterling Silver Eye of Horus pendant with a 10 x 8mm Turquoise cabochon stone, makes a beautiful jewellery piece. 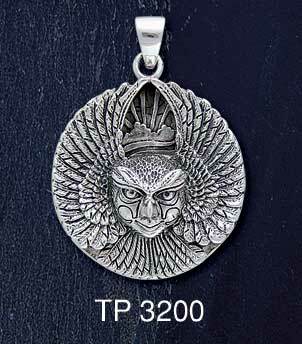 The generous sized pendant comes with a medium weight sterling silver chain and kept in its special custom shaped jewellery box. 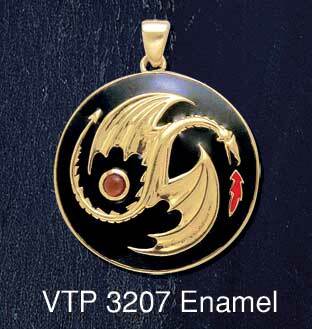 and a separate chamber for the pendant. New Zealand Rewa Rewa wood box has a beautiful smooth finish with oval polished tiger eye stone in a setting of sterling silver. Yet another wonderful creation from Shadowsmith - One Only. This Box Set is now Available in Black Bean Wood only! Ancient Egyptian hieroglyph used to symbolize life everlasting, reproduction and sexual union. 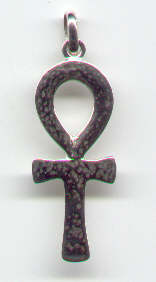 Ankh is known as the symbol of eternal life. The gods are often seen holding an ankh to someone's lips this is considered to be an offering of "The Breath of Life". The breath you will need in the afterlife. Currently available in Garnet and Amethyst. Isis, wife of Osiris, mother of Horus and Mistress of Magic. Isis is the feminine archetype for creation - the goddess of fertility and motherhood. Isis is often depicted with a throne on her head and with wings, meaning ascension, linked with the Phoenix the female bird of resurrection. Isis with her wings extended - in a pose of protection. Isis represents our feminine aspects - creation - rebirth - ascension - intuition - psychic abilties - higher chakras - higher frequency virbations - love and compassion. She is the Yin energies - the mother nurturer - the High Priestess - the Goddess of all mythological tales - to other female icons in the mythos of creation. She is the essence of the feminine energy which is part of us all. Isis was a magician, possibly the archetype for the high priestess of the tarot. She learned her magic from Thoth, although according to some legends she obtained her powers from Ra himself by tricking him into revealing his name to her, thus acquiring his full magical knowledge. She was known in ancient Egypt as a protectress and a symbol of immortality. 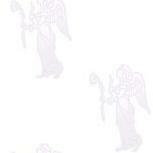 She was the strongest deity in the Egyptian pantheon. 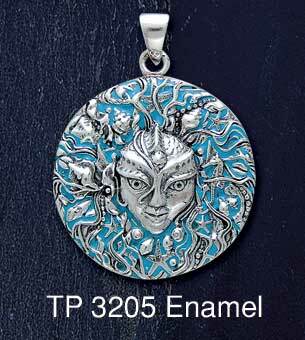 *Each item designed by Oberon Zell bears the mark of the artist - stamped on the back. Please e-mail if you would like to ORDER any of the Jewellery below. The sun - represents solar activity - the Creational Flame - the Creational Source - the place where all things begin and return - during a 'Cycle of Time'. Each soul is a spark of light created by this Source - which is why all souls seek 'Light' and its frequency which is pure - 'Love'. The god Thoth used his magic to turn Horus into a sun-disk with splendid outstretched wings. The goddesses Nekhbet and Uazet in the form of uraeus snakes joined him at his side for protection. 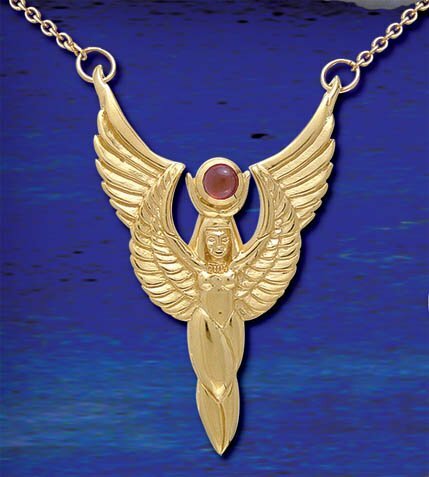 The wings spread is also associated with ascension and linked with the Phoenix the female bird of resurrection. Many of the Egyptian Gods wore solar discs. Solar symbols can be found in the art of most civilizations. The Sun is the Symbol of Creation - Source - The EYE as believed by the ancient Egyptians.